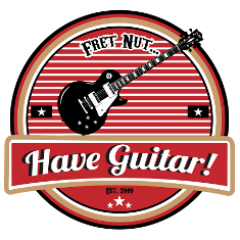 November 2018 - Fret nut... Have Guitar! So here is the 4th Kemper Rig Showcase Special and it’s the V130 The Super Countess from Victory Amps! You know it by now, it’s official Kemper profiles from this amp manufacturer and that is worth checking out… and worth supporting. The original amp is 100 watts (so say “Thanks Kemper for saving my hearing”! ), it comes from the V30 but has some characteristics of the V40, The Sheriff 44 & VX The Kraken. Still, to me it sounds like a “nice” amp and not that mean… good base tone though. Back with a bonus video – the third demo of the five available official Kemper profile packs from Victory amps. All these have been created by Rabea Massaad and you can buy them as one offs or all five for a cheaper price. The Sheriff 44 is described like “for players who want ultimate ‘plexi’ tone that’s also real-world usable.” Well, you’ll have to be the judge of that yourself. Hope you like the video and feel free to support Have Guitar by a subscription. Thanks for the support goes out to all new and old subers. you are indeed great! Yep, I got myself a bass rig – started playing bass in a band and I just had to get a descent, lightweight and not too expensive rig. And of course, I wanted it to sound good too! So this is what I came up with – the Trace Elliot micro bass amp together with a Fender Rumble 115 cab (one 15″ speaker). This is just the unboxing video and I also managed to play the sound demo so loud that my video camera got a slightly distorted sound… ugh. Sorry for that, I’ll do a review video with better sound as soon as possible. Thanks for watching Have Guitar! A big Thanks to all you who support me by your subscription to the channel! Disclaimer: October or November? Slightly confusing here, but Rob is listed as the October featured artist and the pack arrived early November. So from now on I will list it as when it arrives = this IS the November pack. For me at least. Time for a new surprize pack from ToneCrate and this month its tweaked by Rob Maramonte from The Zenith Passage. It’s 9 really heavy profiles (and one clean!) and so far this is my favourite from ToneCrate! Hope you like the demo – hit that sub-button to support Have Guitar! A never-ending Thanks goes out to all you who sub! !